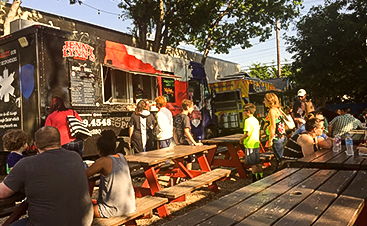 BBQ Food Truck Dallas: Which Wedding Vendors Should You Tip? 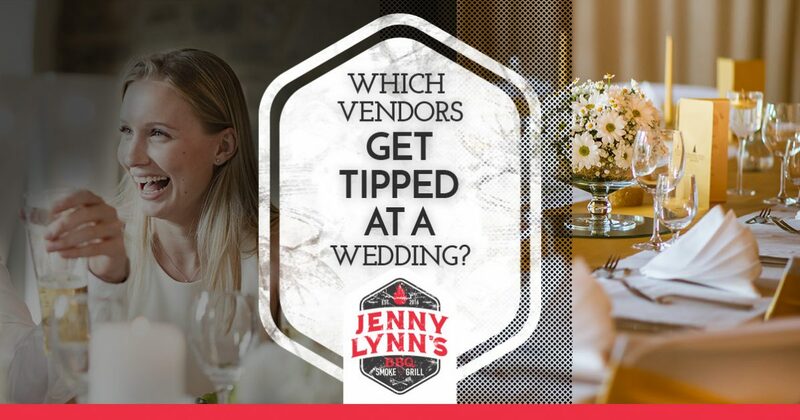 Which Vendors Get Tipped at a Wedding? You and your fiance are fully entrenched in wedding planning. The venue has been set and the guest list is just about complete. At this point, you’re ready to finalize details with the vendors. In this post from Brides, Jaimie Mackey says you may not be able to tip your officiant directly if he or she is a member of the clergy. What you can do is make a donation to the house of worship. For those with a non-clergy officiant, consider a $50 tip. You will want quality photos and videos when you look back on this special day. You’ve probably already realized that good photographers don’t come cheap. So don’t feel obligated to tip the owner of the company. One idea is to tip any assistants $50 to $75 for their time. We’ll get more into this vendor once we discuss catering services, but it’s worth touching on now for a bit. If you hired the bartenders separately, the rule of thumb is to tip 10 to 15 percent of the pre-tax bar bill. This amount can then be split between the bartenders. An important note here: if you are tipping the bartenders, be sure they aren’t also accepting tips from guests. Look closely at the contracts with your band or DJ. If you don’t see information about a gratuity anywhere, then tip between $25 and $50 per person. These folks deserve additional thanks for creating a lively atmosphere and keeping guests out on the dance floor. It’s common for transportation companies to include a gratuity on their invoice. If that’s not the case for some reason, be sure to give a generous tip. You’ll want to aim for about 15 to 20 percent of the pre-tax bill. As we’ve mentioned in previous posts, the caterer can oftentimes make or break an entire wedding. Remember to show your appreciation for the catering service with a nice tip. If gratuity isn’t included in the total bill, then feel free to give $10 to $20 per person. Now that you know which wedding vendors need to be tipped, it’s time to get back to planning. 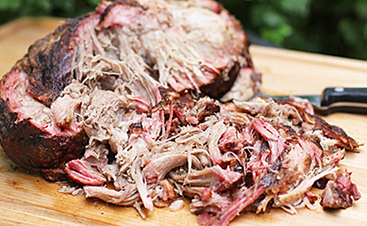 Choosing a caterer is undoubtedly one of the most important decisions of this process. Should you hire a less-than-stellar catering service, you’re going to have many unhappy guests at your wedding. What do we recommend as a strategy? For one thing, take some time to do your own research on local wedding caterer services. Talk with your fiance about whether or not it makes sense to go with plated options or more of a buffet style. 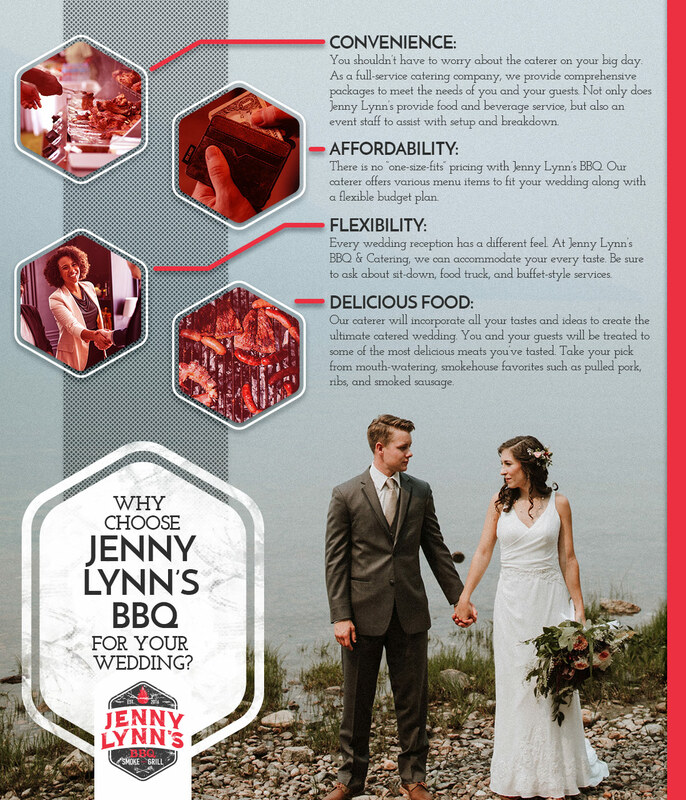 Jenny Lynn’s BBQ & Catering takes the stress out of finding a caterer for your big day. 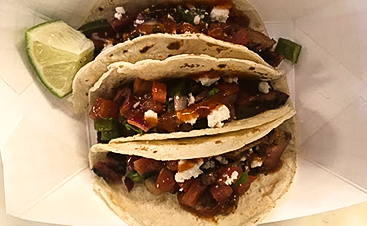 Our BBQ food truck features a variety of tasty meats that are certain to please even the pickiest guests. Contact Jenny Lynn’s today to get started.